Brocock .22 Enigma Pre-charged Pneumatic Second Hand Air Rifle for sale. Buy for £399. 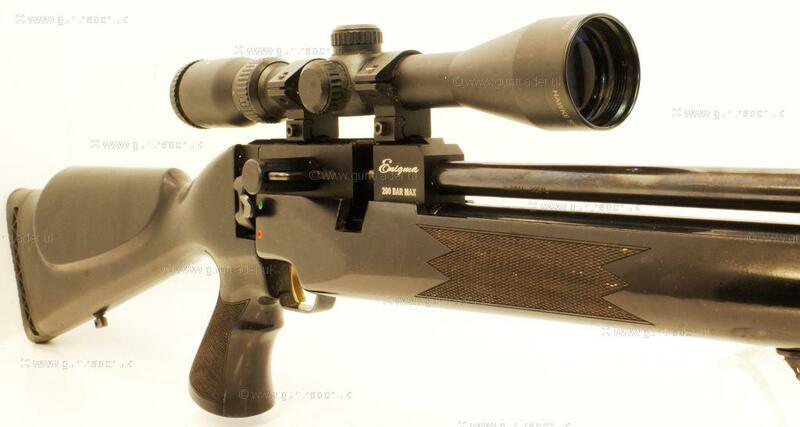 Fitted with a Hawke Sport HD 3-9x40 scope and supplied with a 9 round magazine. This Pre-Owned Enigma from Brocock is ideal for anyone looking for a PCP airgun for pest control or plinking. The metal work and stock are in good condition and the barrel has been threaded for a silencer.